We support all Parent, Teacher Organizations throughout Central Ohio. When it comes to kids and education we think this is a great way to pay it forward! This type of fundraising is easy and it works. For every order placed on our website or over the phone we will donate 5% up to $5.00 per order to your PTO. All you have to do is register your PTO with us in advance and we will do the rest. There is no limit to how many times they can order and the offer is good all year long. 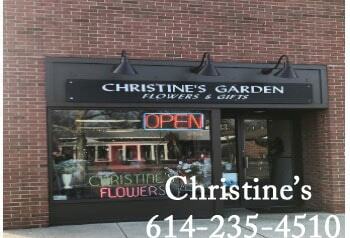 Christine's Garden has been the exclusive florist for the Nationwide Children's Gift Shop for almost 10 years. We are extremely proud of this partnership and work hard to support the Hospital. Everytime you buy a silk butterfly to add to your flower bouquet, we will donate 50% of all butterfly sales proceeds to the Hospital through our "Butterflies for Kids" Program. You can't feed minds on an empty stomach. No one does a better job feeding kids in Central Ohio than the Children's Hunger Alliance. Please use the PROMO Code (CHA10) and we will donate 5% up to $3.00 for every order to help feed kids. Together we can make a difference and break the cycle of childhood hunger in Central Ohio. Their name speaks for itself! 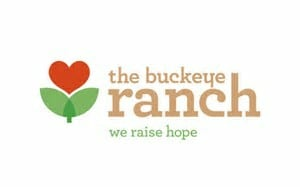 The Buckeye Ranch has a great reputation for caring for troubled adolescents. If you're a big supporter of the "Ranch", this is a great way to donate everytime you send flowers. Please use promotion code (FHGMBR05) and we will donate 5% up to $3.00 per flower order, each and everytime! The League provides early learning opportunities for children right here in our community. There is no better time to get started helping kids reach their fullest potential than in the first few years of life. The best thing of all is the League does all of this free of charge to these great kids! What more can we say. We will donate 5% of each order up to $3.00, please use promo code (FHGMCLC10) when ordering. The Ronald McDonald House speaks for itself. No other organization helps familes in need when a child gets sick like they do. From providing meals and a place to stay for out of town families. Use promotion code (RMH10) and we will dontate 5% of each order up to $3.00, each and evertime you order flowers. With three stores and still growing Christine's is a family owned and operated small business. 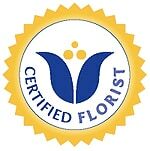 Our professional Certified Florist staff is dedicated to making your floral experience a pleasant one. Through our website we provide a convenient 24-hours a day shopping experience. Check out "Meet our Staff" on the lower right side column to see all the people that make our company shine! Thank you for shopping with us. Stop by and visit us at any of our store locations. For many years, the main method to send flowers long distance was to contact your local florist and they would use a wire service to electronically transmit the order. 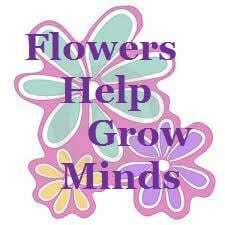 They we're part of a national group of flower shops that communicated through this service. It's still a good way to send flowers when you don't have time to research a shop yourself. Your local florist is responsible to you for a number of reasons, including the fact that they know what you like and don't like, they know your style and preference and most of all you know them! They're your neighbor, you see them at the grocery store or at a PTO meeting and even better yet, sometimes they're a close trusted friend. Today, Order Gatherer's (OG's or Affiliate/Brokers or Wire Services) make up over 50% of all flower sales in the U.S. and never once do they make or create one of these beautiful arrangements they are trying to sell or broker. These internet sales give them huge marketing budgets that small shops can't begin to compete with. That money comes from you, the consumer. The OG's don't just make up over 50% of the sales volume, they often keep over 50% of the money a consumer spends on an order. Here is just one example: You want to spend about $40.00 on flowers, you then go to one of these OG websites by accident or on purpose. They show the same arrangement that many other websites carry only they have discounted the item by $10.00 to get you hooked! You think, "What a great deal", they charge you $30.00, and you think you're going to get a $40.00 arrangement. Then they charge $14.95 for a delivery/handling fee and $3.65 for tax. The grand total is $48.60 (the catch is, you think you are still going to get a $40.00 flower arrangement, so the total sounds great to you). Now the facts: The order comes over one of the wire services to a local florist, like me: I get only $30.00 from that OG, (they often keep the entire $14.95 delivery/handling fee for themselves). In their fine print they say the delivery is actually included in the price of the arrangement. The $30.00 that I get is what I'm responsible for to fill the order to, not the $40.00 they we're promising you to get you to bite. The real kicker is that I only get 73% of the $30.00, the other 20% goes to the OG for "gathering" the order and the wire service gets 7% for "transmitting" the order plus they charge me an additional $1.75 to send the order to me. The final amount I receive is $20.15. about 43% of the original total you paid. We call this a "false expectation" that the OG's have placed on both you and I. The national average delivery cost is around $8.00, so the total I have for the arrangement is $12.90. So when the recipient calls to complain about how small the arrangement was and that they know the sender spent almost $50.00, their experience and your's is ruined as well as the fact that my reputation gets tarnished during the whole process. I can only apologize to them for this false expectation the OG has placed on us and the person who sent them the flowers. This is where the term "False Expectaions" comes from. No wonder over 90% of all the complaints filed last year in our industry with the Better Business Bureau come from the top 8 OG's. The only winner here is the OG. Next time you need to send flowers, call your local florist and get what you pay for, it's that easy. We even guarantee it! We will match any websites final price on all local deliveries. Stop throwing your money away by using Order Gather/Broker websites and make a real connection back to your community by shopping with a local business. With locations in Bexley, Downtown Columbus and the heart of the OSU Campus, we easily service the following areas in central Ohio: Bexley, Blacklick, Canal Winchester, Clintonville, Dublin, Gahanna, Galloway, Grove City, Groveport, Hilliard, Lewis Center, New Albany, Obetz, Pickerington, Plain City, Polaris, Powell, Reynoldsburg, Upper Arlington, Westerville, Whitehall and Worthington. Nationwide Childrens Hospital Gift Shop. Call any store to order or stop by the gift shop to Pick up a Bouquet. osuFLOWERS.com employees work as a team. As an industry leader we believe in having a postive, creative style and feel in everything we do, from a professional attitude to a genuine smile that reflects a our positive attitude which leads to a great working environment. At osuFLOWERS.com, we tolerate nothing less than the best in every position. We do not categorize vertically but horizontally. We believe that a chain is only as strong as its weakest link. osuFLOWERS.com is a forward moving and thinking company. The days are not boring and the ideas and energy are always plentiful and exciting. The saying "Never Say No to the Customers" is the greatest challenge in business. It really happens here. We are always looking for the best people for our company. If this sounds like you, tell us a little about yourself. We are looking forward to your interview. 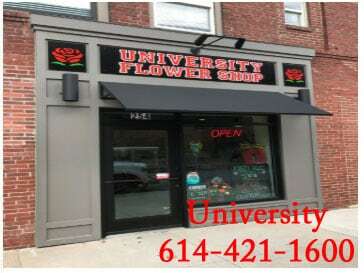 If you would like to inquire about our available positions, send us your resume to: osuflowers@mail.com. osuFLOWERS.com is proud to bea drug-free workplace! Local delivery fees range from $7.95 to $15.95 depending on the address and zip code. (The majority of our deliveries are $9.95 and $11.95). 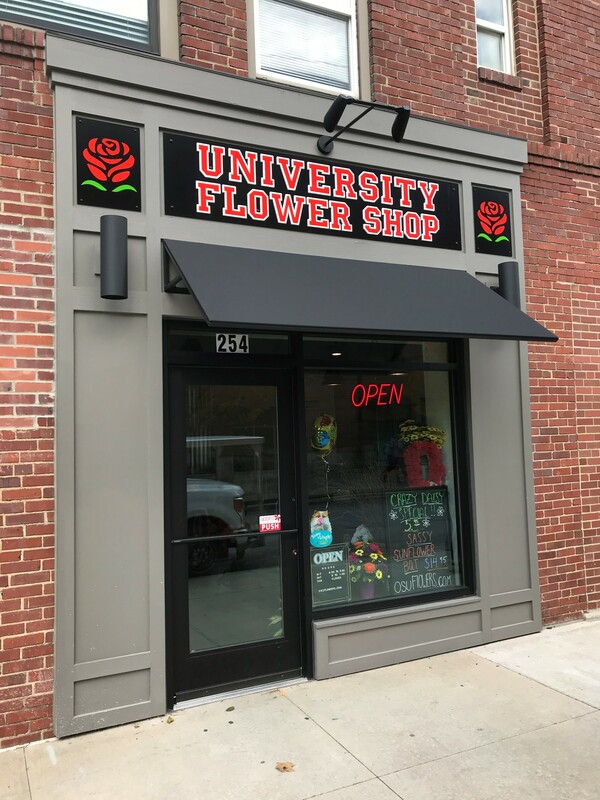 For deliveries outside of our local delivery area there will be a $15.00 flat rate delivery fee (which goes directly to the receiving florist) along with a $4.95 Relay/Internet Processing fee. Order Gather's charge exorbonate fees for sending your order out, they also keep most of those fees, never explaining their fine print!!! We break it down completely so you understand where every dollar is going and how much we charge to handle your order. We will always make at least one attempt on the requested delivery date. If however the recipient is not home and there is no one to accept the flowers, we will tag the door and leave a voice message if a phone number is provided, and wait for them to contact us before redelivering. We do not guarantee redeliveries on the original delivery date, but we will redeliver at no extra fee on the next business day if we have made contact with the recipient to coordinate a new delivery. We also reserve the right to leave all packages with neighbors that are willing to sign and accept them on the recipient's behalf, both business and residential. (This is a standard industry practice). We will not leave any package without notifying the sender in advance, however if the sender does not have a phone number or refuses to provide a phone number for the recipient we reserve the right to leave the package at the address provided by te sender. We are not responsible for any packages left on site or for any incorrect adresses. All orders that include wine or alcohol require identification from someone at least 21 years of age or older. We cannot leave alcohol unattended! If a level 1, 2 or 3 Snow Emerency or Blizzard Warning occurs, we will discontinue all deliveries immediately. We will begin delivering again as soon as the weather permits and it's safe to do so. The lives of our employees are our number one priority. All requests for address changes must be made 24 hours in advance or there will be an additional $10.00 delivery fee charge. Same day address change requests cannot be guaranteed if the flowers have already made it on the truck and are enroute. We will however do our best to deliver that day. Your order may not be cancelled due to a change of address that could effect the delivery date. All address change requests must be phoned in to one of our store locations. You have to speak with one of our staff members before we can confirm your change of address. We do not accept address changes via: email, text, fax or voice message. Please also check to make sure the address is correct! We want your package to arrive on time and to the correct address, the first time everytime. Incorrect delivery addresses will be charged an additional $10.00 delivery charge. We will do our best to accommodate deliveries at specific times of the day, but as a rule we cannot guarantee specific time of day deliveries (example: requesting delivery between 1pm and 2pm). We are in the same day delivery business and get multiple requests for timed orders each day. Again, these are all additional service fees on top of the regular delivery fee and the delivery may only be possible if the situation and the timing permits. We truly want to accomodate all our customers and are committed to all our deliveries, especially the ones that are placed in advance. Orders placed with express delivery requests in the "Special Instructions" field, but chose not to purchase the Express Service specifically will be charged the express fee that applies to their request. For instance if someone types in that their order has to be delivered in the morning on the day of the delivery, then we will add the "Next day by Noon" express charge of $9.99 to their order to guarantee an A.M. delivery of your order that you requested. We do not offer express delivery service on Saturdays without first speaking to one of our team members fore approval. We also don't make deliveries on Sundays. Sunday delivery requests will be delivered the following business day. Delivery of orders to rural route addresses cannot be guaranteed. All cemetary deliveries will be charged an additional $5.00 and we can't guarantee delviery to a specific plot. We give the cemetary the $5.00 to do the job, because they know exactly where to set the flowers. All delivery fees and service charges are subject to change without notice, Please call if you have any questions regarding any delivery fees or any other charges. If for some reason we have to replace an item, we do require that we are able to pick up the previous delivery at the same time the replacement is made. We will do are best to accomodate both the sender as well as the recipient in this process. Please keep in mind coordinating redeliveries can be logistically difficult, but we will always keep our customers advised as to when and how it will be accomplished. All Internet Orders include a $4.95 processing fee. If you decide to cancel your Internet order, the $4.95 processing fee will still be charged to your credit card and will serve as a Cancellation fee along with any aplicable taxes. This same cancellation fee also applies to all Walk-In and Phone-In orders should you choose to cancel your order for any reason. All Walk-In, Phone-In and Internet cancellation requests must be made 48 hours in advance of the delivery date and have to be phoned in to one of our store locations. You have to speak to one of our staff members before we can confirm your request to cancel, we do not accept cancellation requests via: email, text, fax or voice message. If you fail to do so, you will be charged for the full amount of the order. All "Bulk & Special Event Flowers" purchases must be cancelled two weeks prior to the date of the event. If by accident you create a duplicate Internet order, there will be no processing fee charge to cancel the second order. We also have a minimum purchase requirement of $40.00 on all orders. Our FACEBOOK specials are priced accordingly, no extra discounts or coupons are valid with those specials. We try very hard to have the lowest prices. We offer a limited lowest price guarantee on all local deliveries in our area. If you find it priced somewhere else for less, we will match their final price. Many websites don't charge sales tax, therefore our lowest price guarantee doesn't include any applicable taxes. There is also a $10 charge back fee for all orders that are disputed with your credit card company, if it is proven to be a ligitimate order that you placed with us. If you have any questions, please feel free to contact any store location. Thank you.